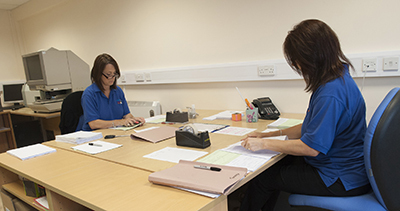 Simply hand us your paper originals and we’ll get them accurately scanned for you quickly, with no fuss or drama. We’ll repair any damage, remove staples and fixings and capture all images to optimise their brightness and contrast. We can de-skew and de-speckle where necessary, standardise orientation and remove coloured backgrounds if required. 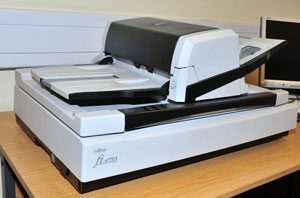 Scan Film or Store offers a range of document scanning solutions to digitise new and existing records. We handle any type of document, from invoices to complex technical drawings and from a single file through to entire archives. We can scan to A0 size and film even larger documents. You receive your data back on portable hard drive or CD/DVD with up to 30 days’ free storage of your original documentation while you check your new database. Search and retrieval software is an option too. To make retrieval easy for you we can embed bespoke software into your returned disc. You’ll be able to find and retrieve any scanned document quickly and effortlessly – every time! Read a case study about document scanning or find out about a customer who scanned and stored their documents at our secure facility here. 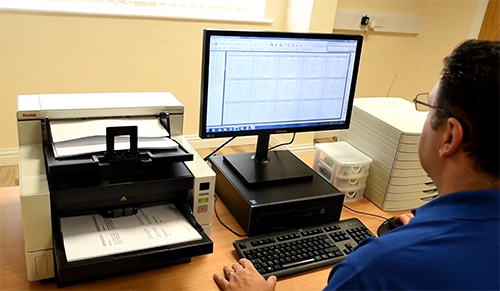 If your documentation is highly sensitive, or security restrictions prevent the removal of paperwork from your premises, we will provide a complete scanning service directly at your site. (Minimum quantities apply – please ask us for a free, no obligation estimate). Using experienced image production staff, DBS checked and security vetted to BS7858 standard and armed with the latest equipment, we’ll produce superb quality, secure imaging in situ. We’ll give you your CD, DVD or portable hard drive immediately, so no information, in any format, leaves your site. For further help, information or a free consultation on any document scanning requirements you may have please contact us or call 0800 008 7229 today.